The polls are now closed in Britain. We are updating this dashboard with the results for parliament’s 650 constituencies as soon as they are announced. Although 326 seats make a majority, in practice this can be achieved with only 323 seats, since Sinn Féin MPs in Northern Ireland do not take up their seats in protest and the Speaker of the House doesn’t vote. If a single party cannot win an outright majority, the cajoling and horse-trading around coalition- or minority-government agreements begins. This remains rather unfamiliar ground for modern British politics, so it could take a while until a workable arrangement emerges and the UK knows who its next leader will be. Left-leaning Labour ran the government between 1997 and 2010, steadily moving towards the center ground all the while. The party is now led by Ed Miliband, who tussled with his older brother David for the party leadership in 2010 and won thanks to support of trade unions. The right-of-center party has led a coalition government since 2010, with the Liberal Democrats as a junior partner. Leader David Cameron has insisted the party needs another five-year term to "finish the job" they started. He has also promised not to seek a third term as prime minister after that. The nationalist party saw a surge in popularity during the campaign for a referendum on whether to declare independence from the rest of the UK. That vote, in September last year, narrowly returned a “No” result, but proved a boon for the SNP ahead of the general election. The larger of the unionist Northern Irish parties, in 2010 the DUP was the fourth-largest party in parliament. The national party of Wales has been gaining traction, but its local strength isn't in the same league as the SNP's in Scotland—yet. 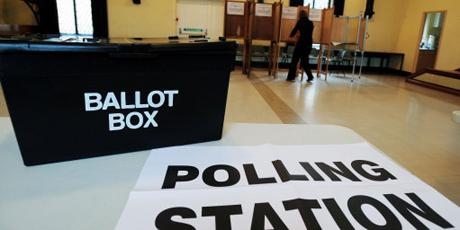 Historically the smallest of the country’s three major parties, the Lib Dems gained a higher profile when their leader, Nick Clegg, won over voters in the run-up to the 2010 vote. But after joining with the Conservatives in coalition, critics have accused them of failing to stick to their promises. Irish republican party that campaigns and in the Republic of Ireland and Northern Ireland. Doesn't take its seats in Westminster as a protest against rule from London. Candidates are not affiliated to any particular party, who rarely exert much influence in Westminster. Northern Irish party that favors remaining part of the UK. The speaker is an MP charged with managing other members, and deciding who speaks when. Famous for keeping them in check with calls of "Order! Order!" Required to remain non-partisan. Right-wing, anti-immigration party that promises to fight for the UK's immediate exit from the European Union. Northern Irish party that has moved away from a focus on the union with the UK, and more towards broadly liberal policies. Once pigeonholed as a single-issue party fighting for the environment, it has widened its remit to include social justice and anti-austerity policies. Headed by firebrand George Galloway, the left-wing party was founded as an anti-war protest party in 2004.